The folks running the website over at Cheney Tech wrote up a cool little article about the bus, and it has pictures of the students who are working on it and everything. I’ve only really talked to the students working on it once so far, and recorded some unusable footage of that with my old phone. Hopefully I’ll get a chance to talk to some of them again, and give them the credit they deserve. But until that happens, check out that article. It’s good stuff. I dropped by Cheney today and found that Anne has been successfully moved inside. 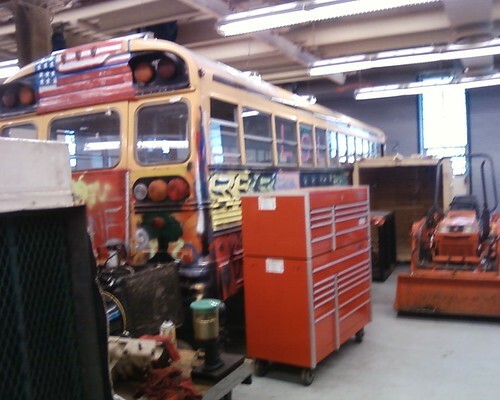 Soon the steel to build the tank will arrive, be welded into a wonderful large tank, and mounted in the bus. I’ll be keeping this blog updated with progress.